"Making the Transition to a More Secure Future"
An entry level video class for novice therapists, or experienced therapists new to pediatrics. Therapists returning to the field, transitioning from other populations or disciplines, or therapists seeking a refresher class on current trends in pediatric practice. This class offers extensive information that will empower attendees with all the necessary knowledge to begin effectively treating children in the home, school and clinical settings. Special educators and school administrators can greatly benefit from the contents of this class as well. This course has been approved for 14.5 Contact Hours / 1.45 CEUs by the American Occupational Therapy Association (AOTA). 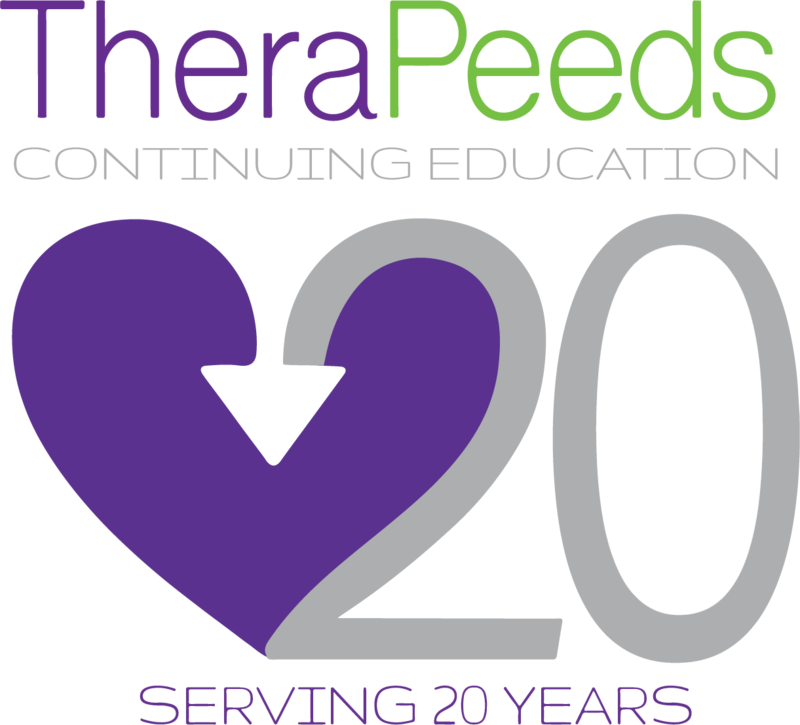 TheraPeeds, Inc, is an approved provider of continuing education by the American Occupational Therapy Association (AOTA). (The assignment of AOTA CEUs does not imply endorsement of specific course content, products, or clinical procedures by AOTA).